If you're considering buying a new rifle for deerstalking then you need to think long and hard about what you actually want from it and how you are going to use it. Your budget is also likely to be a key consideration. Yes, you can buy an outstanding rifle if you invest heavily but on the other hand if you are more restricted you will still have some useful options. Here our experts have reviewed 10 rifles that have proven popular with deerstalkers so you can see what might suit your purposes best. Our reviewer notes that you don’t see many of these on the shelves of second-hand gun dealers. Is that because it’s an unpopular model or because owners tend to hang onto this rifle? Read our expert’s conclusion in his review of the Steyr Mannlicher Pro Hunter. First time out stalking a fallow buck for our reviewer – how did the gun perform? Why have we chosen it as one of our popular rifles for deerstalking? You can read what Sporting Gun’s editor thought and the review of the Merkel RX Helix here. One for the stalker who admires an elegant rifle that makes him feel proud. 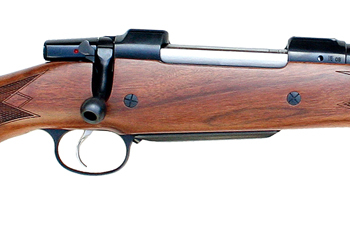 What else did our reviewer make of the Sako 85? For the shooter who wants one firearm that can be changed into a fox, deer or even an African game rifle in seconds, the Blaser R8 has to rank as one of the best. Our reviewer says:”I hope British shooters take notice of this rifle.” Read his reasons why. Since its introduction in 1962, the Remington Model 700 is still going strong, and its longevity is testimony to the appeal and quality of the rifle. Out of the box, a classic rifle – far cheaper than having a custom rifle made in these calibres. A true old-world stalking rifle but with all the modern features required to make it functional, accurate and reliable in the field, where it really performs. At a cost of £1,377 for the standard model, the M03 is competitively priced and, as the range tests show, it is a fine shooting rifle. Last but not least, the Tikka T3 is probably the best-selling stalking rifle in the UK today. It’s earned a reputation as being dependable and the rifle is certainly capable. Just why is the “sprocker spaniel” becoming so popular? When sharing a pigeon hide, what’s the shooting etiquette?